There are about 46,298 glaciers in High Asia, the total glacial area is about 59,406km2, and total glacial volume about 5590km3 (Table 55.1). These glaciers mainly concentrate around the Himalayas, Nyaiaqentanglha, Kunlun, Karakoram and Tienshan mountains. The glaciers in the Tibetan Plateau are the major component of the glaciers in High Asia. These glaciers extend north to the arid and desert regions, and become the main water resources in northwest China. Especially, the large glacier coverage around Tarim basin can supply about 137.7 x 108 m3 glacial meltwater to the lower reaches of the Tarim basin each summer. These glaciers extend south to the warmer, wetter forests and mainly concentrate around the Brahmaputra drainage basin, and form the largest mountain-glacier centre in High Asia. There are about 10,813 glaciers in the Brahmaputra drainage basin, the total glacial area is about 14,491 km2 and the glacial volume about 1293 km3. Most of the inland rivers in norhwest China are supplied with glacial melt water (Table 55.2). According to the studies of Yang & Hu (1992) and Yang (1995), the annual glacial melt water runoff in China was about 56.4 km3 or 564 x 108 m3, which is close to the total annual runoff of the Yellow River, and is 2% of the total runoff in China, 10% of the total runoff in northwest China and 13% of the total runoff (4431 x 108 m3) of the four provinces in west China (Gansu, Qinghai, Xingjiang and Tibet). In fact, the glacial water resource is very important to the arid inland, mainly including Xingjiang, Qinghai and Gansu province in northwest China. 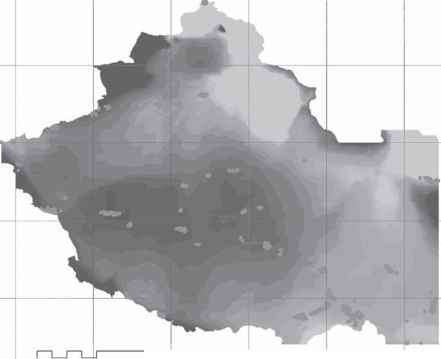 According to the results of Yang (1995), the total glacial melt water runoff in northwest China was about 220.07 x 108m3. Some rivers are dependent on glacial melt water in northwest China. The Tarim River is an example. There are 14,285 glaciers in the Tarim River basin, the total glacial area is 23,628.98km2, the glacial volume is 2669.435km3 and the average glacial depth is 113 m. According to a previous study (Yao et al., 2004), the total annual runoff of six tributaries of the Tarim River is 310 x 108 m3. The runoff of the Tarim River supplied with the glacial melt water reached to about 50% in the past 40 yr.
Glaciers in High Asia are most sensitive to climatic change and fluctuate with climatic cooling and warming. Temperature rise since the termination of the Little Ice Age has had a great impact on glacial distribution, causing a decrease of glacial area and glacial volume (Yao & Shi, 1990). This is particularly the case for the temperate glaciers in the monsoon regions in High Asia. In the 1980s, most of the glaciers had retreated extensively because of climatic warming. Even some previously advanced glaciers had also shifted into retreat phase with rapid climatic warming. In the 1990s, glaciers had retreated more extensively, and the runoff of some rivers had increased largely with the glaciers melting (Shi, 2001; Yao et al., 2004). The Little Ice Age (LIA) was a typical cold period over High Asia (Yao et al., 1997). The LIA terminated about ad 1890 (Yao et al., 1996 ). Large-scale glacial retreat has started since then. The LIA in the High Asia can be divided into three cold stages, which appeared in the 15th century, the 17th century and the 19th century. The coldest stage appeared in the 15th century. The moraines corresponding to the LIA are different for different stages. The largest moraine is the one corresponding to the 15th century cold stage. In High Asia, there are two types of glaciers: the temperate glaciers and the subpolar glaciers. These two types of glaciers are different in their response to climatic changes. The Qilian Mountain is a region where subpolar glaciers developed. Some key areas were selected to study glacial fluctuations in the region. As shown in Table 55.3, glacial changes in different periods including the LIA, 1956, 1990 in the Big Snow Mountain in the Qilian Mountain are analysed and the magnitude of glacial fluctuations are calculated. In summary, the decrease of glacial area since the LIA to 1956 is about 4.7%, which is quite small compared with some other regions. 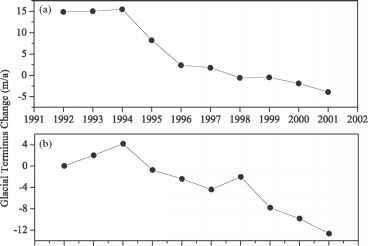 However, the decrease from 1956 to 1990 is 4.8%, which is larger than the magnitude of decrease from the LIA to 1956 and indicates an accelerating decrease of glaciers. iers in the Shule Rivers is higher (close to subpolar glaciers) and is influenced by the monsoon. The magnitudes of glacial fluctuation of temperate glaciers in the intensive monsoon region are much greater. The temperate glaciers are in the Hengduan Mountains, the east section and on the south slope of the Himalayas, and the east section of the Nyainqentanglha Mountains in the southeast part of the Tibetan Plateau. 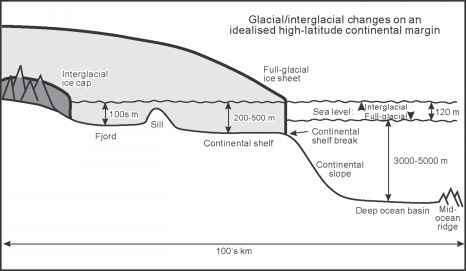 Su & Shi (2002) studied the glacial fluctuation since the LIA. After investigation of 1139 glaciers from the Yulong, Gongga and Hengduan mountains, it was found that the total glacial area of the measured temperate glaciers has reduced by 30%. In the Yulong Mountains, the glacial area has reduced as much as 60% (He et al., 2003). The study indicates that there is an inverse relationship between glacier size and glacier area reduction. That is, the larger the glacier, the smaller the glacier area reduction, and vice versa. Snowline in the temperate glacial region is a very sensitive indicator of glaciers to climatic changes. Through field investigation and careful comparison of lateral moraines in different periods, we obtained an estimate of snowline fluctuations in temperate glacier regions in High Asia. For example, the snowline of glaciers rose by 150-180 m on the east slope of the Yulong Mountains since the LIA, rose by 100-150 m in the Zayu River basin, and rose by 60-80 m in the Queershan Mountains. 5 in the 1990s glacial retreat was more extensive than at any other period in the 20th century. The glaciological expedition to the Tibetan Plateau in 1989 showed that the glaciers of the southeast Tibetan Plateau retreated extensively, and the Zepu Glacier and Kaqing Glacier were the most obvious examples of glacial retreat (Yao et al., 1991). Some glaciers, however, are still advancing. Detailed research of the Large Dongkemadi Glacier and the Small Dongkemadi Glacier in the Tanggula Mountains and the Meikuang Glacier in the Kunlun Mountains showed that these glaciers were still advancing. However, all these glaciers have shifted from advance to retreat during the 1990s. Now, with very few exceptions of glaciers still advancing, the glaciers in High Asia are retreating. The glacial retreat since the 1990s has several main features as follows. Figure 55.1 Fluctuation of Glacier No.1 in the Urumqi River Basin. Figure 55.2 Fluctuations of the Larger Dongkemadi Glacier (a) and the Small Dongkemadi Glacier (b) in the Tanggula Mountains. late 1980s to the 1990s, with the retreat rate reaching a maximum of 6.5 myr-1 between 1990 and 1991. 2 Most of the advancing glaciers gradually shifted to retreat. The Large and Small Dongkemadi glaciers in the Tanggula Mountains are examples. Figure 55.2a & b show the process of the Large and Small Dongkemadi glaciers shifting from advance to retreat. These two glaciers were both advancing when they were first observed in 1991. The total area of the Large Dongkemadi Glacier is about 14.63 km2, and the Small Dongkemadi Glacier about 1.77 km2. Based on glaciological theory, there is a lag-time as a glacier responds to climatic change. The lag-time is dependent on glacial size: the larger the glacier, the longer the lag-time. Therefore, the time when the Small Dongkemadi Glacier began to shift from advance to retreat would have been earlier than the Large Dongkemadi Glacier. As shown in Fig. 55.2b, the Small Dongkemadi Glacier advanced about 4 m during the summer in 1992, and then shifted to retreat in 1993, with a retreat rate of only 0.2 m in that year. After 1993, the Small Dongkemadi Glacier kept retreating, and the retreat rate increased year by year and reached to 2.86 myr-1 in 2000. The Large Dongkemadi Glacier had advanced about 15.7m between 1989 and early 1994, and then shifted to retreat after the summer in 1994. The annual retreat of the Large Dongkemadi Glacier also increased continuously and the retreat rate reached to about 4.56 myr-1 in 2001. 3 At the highest peak of Mount Qomolangma there is also a record of the impact of global warming on the glacial process. Figure 55.3 Height fluctuations at the top of Mount Qomolangma, where A is the lowering of surface height and B is the lowering rate in different periods. According to Ren et al. (1998), climatic warming caused glacial retreat in Mount Qomolongma. Furthermore, evidence of the impact of climatic warming on glaciers was also found at the top of Mount Qomolangma. 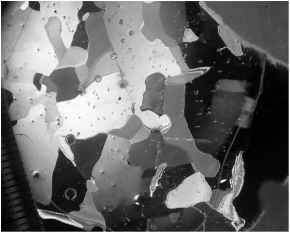 According to the observation of Chen et al. (2001), the surface height of the snow and ice at the peak of Mount Qomolangma has lowered since 1966. The observation data show a variable lowering rate over the past several decades. As shown in Fig. 55.3A, the surface height at the top of Mount Qomolangma lowered by a total of about 1.3 m (from 8849.75 m to 8848.45 m) between 1966 and 1999. The annual fluctuations of the surface height of snow and ice (in Fig. 55.3B) are as follows: the rate of lowering was very fast between 1966 and 1975, with the annual lowering rate reaching about 0.1m; the rate of lowering slowed between 1975 and 1992 to only about 0.01myr-1, one-tenth of that between 1966 and 1975; it then increased again between 1992 and 1998 to a rate of 0.1 myr-1, with the annual lowering rate reaching a maximum of 0.13 myr-1 between 1998 and 1999. Such a large lowering of surface height in so short a time confirms that the reduction in height cannot be caused by lithospheric movement, and can be explained only by glacial response to climatic change. Strictly speaking, glacial retreat cannot cause the lowering of glacier surface height at 8848 m a.s.l, but the process of glacial ice formation can induce lowering of the glacier surface height. The depth of snow and ice at the top of Mount Qomolangma is still unclear. A maximum depth of 2.5 m was observed by the Italy Mountaineering Team using a stick, but the true depth of snow and ice cannot be obtained with this method. However, the snow and ice depth at the top of Mount Qomolangma should be deeper than 2.5 m. Prior to global warming, the snow-ice formation process at this altitude is one of very slow densification under gravity. It is similar to that of the Antarctic and Arctic regions. Following global warming, the snow-ice formation process will accelerate as a result of temperature increase, which will cause rapid lowering of the glacier surface height. In fact, the rate of lowering of surface height since 1992 at the top of Mount Qomolangma corresponds to a period of rapid climate warming. 4 The pattern of glacial retreat is different in different regions according to many studies (Su et al., 1996, 1999; Wang & Liu, 2001; Pu et al., 2001; Lu et al., 2002; Jing et al., 2002; Chen et al., 1996; Liu et al., 2000, 2002). Figure 55.4A indicates the observations of the actual retreat of typical glaciers in different regions. These observations show that glacial retreat was extensive in the Karakorum Mountains and southeast Tibetan Plateau, with the annual retreat of Poshu Glacier in the Karakorum Mountains reaching about 50 m. Glacial retreat in the innner Tibetan Plateau was less, at no more than 10myr-1. For example, the annual retreat rates of the Puruogangri Glacier and the Malan Ice Cap in the Tibetan Plateau were within 10 myr-1. Figure 55.4 Regional features of glacial retreat in High Asia, where (A) shows the annual retreat rate of all the glaciers in a region and (B) shows the annual retreat rate of glacial length observed in different regions. shrinkages from the maximum of the Little Ice Age to present (Fig. 55.5). The central part of the elliptical regional distribution is located in the Tanggula Mountains, Kunlun Mountains and Qiangtang Plateau in the inner Tibetan Plateau, which record minimum glacial retreat. The glacial retreat increases from inland areas to the margin of the Tibetan Plateau, and reaches a maximum in the southeast Tibetan Plateau and Karakorum Mountains. Mass balance is the algebraic sum of glacial mass increase (precipitation on the glacier) and glacial mass loss (glacier melting) in the glacier system. A positive value means a positive glacial mass balance and vice versa. The general glacial retreat pattern in High Asia is closely related to the strong negative glacial mass balance of recent years. Continuous observation sites of glacial mass balance in High Asia include Glacier No.1 in the Urumqi River basin (1956— 2001), Small Dongkemali Glacier in the Tanggula Mountains (1990-2001) and Meikuang Glacier (1990-2001) in the Kunlun Mountains. Figure 55.6 shows mass-balance fluctuations of these glaciers in recent years. Obviously, the mass balance of these glaciers cannot reflect the pattern of the whole of High Asia, but studying the characteristics of these fluctuations can help us understand the retreat trends for the whole of High Asia. There are several different features in the mass balance of these glaciers. Glacier retreat is most extensive in the Tianshan Mountains where the mass balance was strongly negative all the time. The advancing glaciers in the central and north Tibetan Plateau shifted to a retreat phase recently, and their mass balances changed from positive to negative. From Fig. 55.6, the mass balance of Glacier No.1 in the Tianshan Mountains was not only strongly negative all the time, but also its absolute value was the largest among the three glaciers. The mass balance of the Meikuang Glacier was very similar to that of the Small Dongkemadi Glacier, being mostly positive before the 1990s, which coincides with advances of the two glaciers before the 1990s. The mass balances of the Small Dongkemadi Glacier in the Tanggula Mountains and Meikuang Glacier started becoming negative in the mid-1990s. It was a strong signal of general retreat of glaciers in High Asia. As mentioned above, negative mass balance is the direct cause of glacial retreat in High Asia. Precipitation in most parts of High Asia is increasing, providing the potential for a shift to a positive mass balance. However, many studies have shown obvious temperature rises in High Asia. Therefore, the key cause of general glacial retreat in High Asia is temperature rise due to global warming. Figure 55.6 Glacial mass balances of some glaciers in High Asia. 1990s is the most extensive. During this period, most glaciers that were advancing are now retreating. The glacial retreat was most extensive on the southeast Tibetan Plateau and in the Karakorum Mountains and least extensive in the central Tibetan Plateau. Glacial retreat in High Asia is due to negative glacial mass balance as a result of higher temperatures caused by global warming. The long-term data of several glaciers show that the positive mass balance recorded between the end of the 1960s and the late 1970s caused the glacial snowline to fall. At that time, the ratio of advancing glaciers increased and that of retreating glaciers decreased. 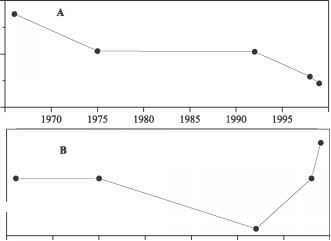 In the 1980s, glacial mass balance became more negative. In the 1990s, the glaciers with negative mass balance became the most negative and a few glaciers with positive mass balance previously also shifted to a negative balance. The glacial retreat in the 1990s was the most extensive compared with any other period during the 20th century. It is concluded that the cause of the most recent glacial fluctuation in High Asia is increased temperatures due to global warming. 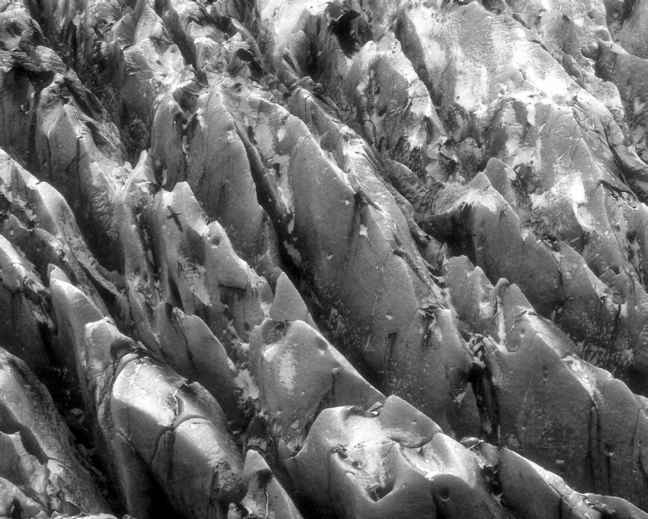 This study has been supported by the Innovation Group Fund of the National Natural Science Foundation of China (Grant No. 40121101), the Project KZCX2-SW-339 and the Project KZCX2-SW-118 of the Chinese Academy of Sciences.